It boggles the mind the songs that were left on the cutting room floor from Bruce Springsteen’s “Darkness On The Edge Of Town” recording sessions. 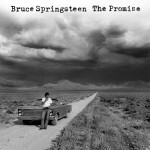 There was a plethora of material to choose from due to the legal problems that resulted in a three year span between “Born To Run” and “Darkness.” As a result, Bruce gave now-classic songs like this one, “Because The Night” and “Talk To Me” away to The Pointer Sisters, Patti Smith and Southside Johnny respectively. Rather than release what would have been a solid double or triple album back in 1978, he chose to leave classics like “Rendezvous,” “Spanish Eyes,” “Outside Looking In” and “The Promise” off the record entirely making fans wait 30 years for their eventual release on “The Promise.” Two years later, he did release a pretty solid double album with “The River” which included the “Darkness” outtakes “Independence Day,” “The Ties That Bind” and “Sherry Darlin’.” I know of at least four CDs of outtakes from those sessions just waiting for eager ears to officially sample in superb fidelity. When it does come down the pike…and I’m sure it WILL come down the pike, “The River” sessions box set will also be superb!